A-HOTEL.com - Luxury and cheap accommodation in Staryye Reshëty, Russia. Prices and hotel, apartment booking in Staryye Reshëty and surrounding. 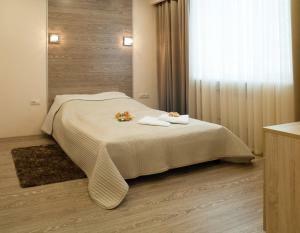 Located in Yekatirenburg, Uralsky Teremok Hotel offers 2 Russian steam baths and free parking. Most rooms come with a private bathroom and flat-screen TV. Hotel on Reshetskaya features rooms in Yekaterinburg. The property is located 10 km from Uralochka Sports Centre and 10 km from Ekaterinburg Arena. Set 7 km from Uralochka Sports Centre, Hotel Dvorets Svadeb in Yekaterinburg offers rooms with air conditioning and free WiFi. Built in 2016, the property is within 7 km of Ekaterinburg Arena. City Hotel offers affordable, spacious accommodation and free parking in south-western district of Ekaterinburg. It is situated beside the Uralexpocentre exhibition centre, nearby Ekstrim Park and shopping areas. Taganskaya Hotel offers accommodation in Yekaterinburg, 4 km from the central train station and Uralskaya Metro Station. All rooms include a TV with cable channels. Offering garden views, 45 Ulitsa Vikulova is an accommodation situated in Yekaterinburg, 2.6 km from Cathedral of St. Located 3 km from Cathedral of St. John the Baptist and 4.